Steel art is real art. At least that’s what Albert Dicrutallo’s college advisor told him. 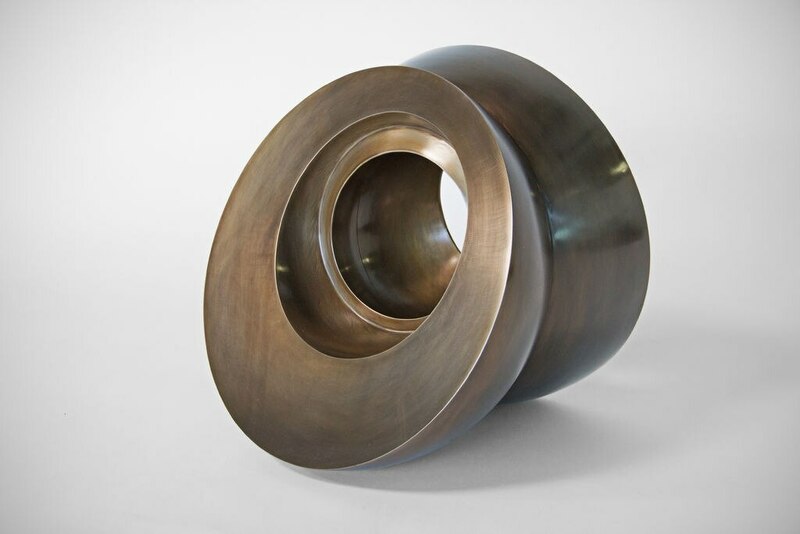 This sculpture was created using steel disks that were spun into hemispherical forms, cut on a waterjet cutter, welded, sanded and darkened using gun bluing solution. 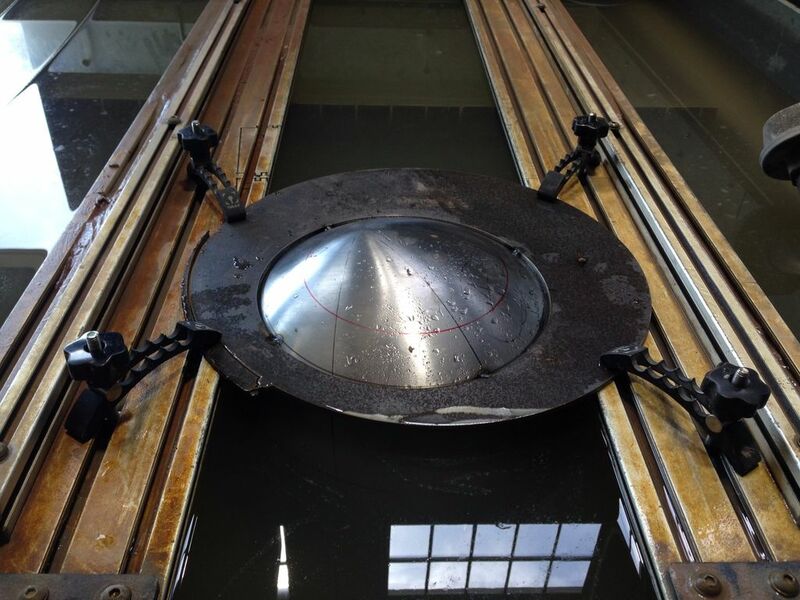 Many tools were used to create the piece: lathe, waterjet cutter, TIG welder, various angle and die grinders and scotch brite hand pads. Read on to see the whole process!